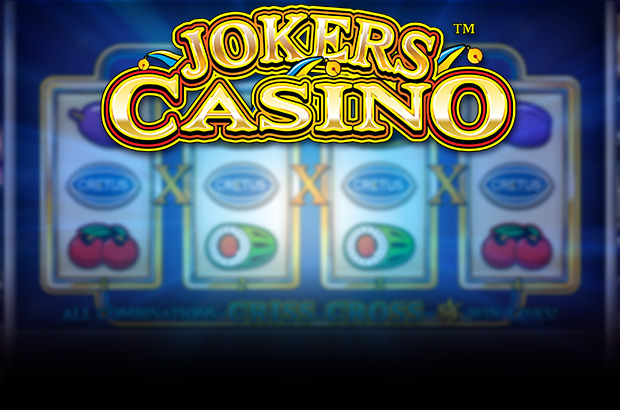 Play Jokers Casino™ online for free now! 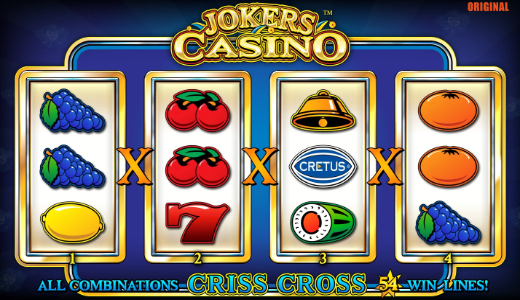 4 reels, 3 identical symbols, a cheeky Joker and on top a whopping mystery win - this is the recipe that will make you cash in at Jokers Casino™. The ingredients are simple: You win when you land 3 identical symbols next to each other. There are no predetermined win lines, and your winning combinations can either run left to right or from right to left along the reels. Your aim is to land 3 identical symbols next to each other along a win line. You have a total of 54 winning possibilities. The Joker symbol substitutes all other symbols and can therefore complete a winning combination. With 3x ‘CRETUS’ you get a random win and the amount depends on your current bet. The regular game will continue after the random win has been transferred to your account.